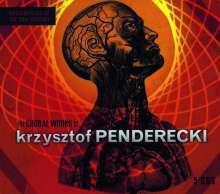 Der Artikel Krzysztof Penderecki (geb. 1933): Chorwerke wurde in den Warenkorb gelegt. Penderecki is without a doubt one of the most influential and respected composers of the 20th and 21st centuries. This collection contains his most important compositions within the realm of choral music. Though Penderecki drew his inspiration from traditional Orthodox liturgy, the compositions themselves are stark, jarring, monumental, and contain a vivid beauty that has yet to be equaled. 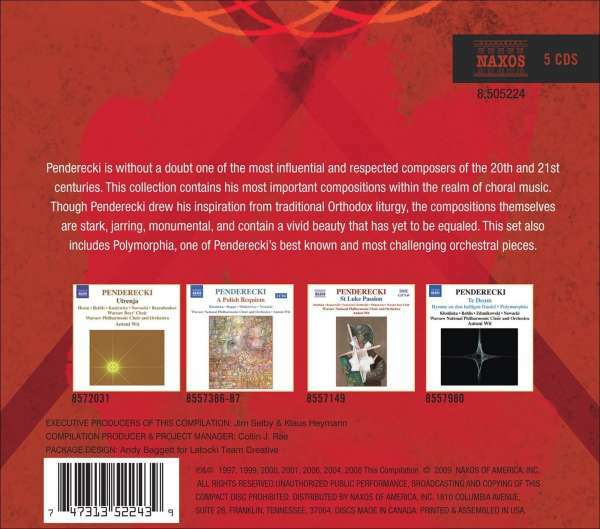 This set also includes Polymorphia, one of Penderecki's best known and most challenging orchestral pieces. Polnisches Requiem "Requiem der Versöhnung"